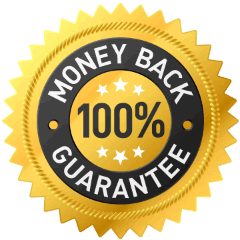 All of our products come with a 60 day unconditional money back guarantee. If for any reason you are not satisfied with your purchase, then, provided it is returned within 60 days of dispatch we will refund your money in full. Your statutory rights are not affected. Downloadable courses are available immediately after payment via a download link. You can find your download link on the receipt page presented after payment, and also on a receipt e-mail that you will receive shortly after payment. Courses on CD are guaranteed be dispatched within 48 hours of receipt, but are normally dispatched the same working day. Credit Card Security Paying for your order online by credit or debit card is completely safe and secure. Shipping is free of charge for all products.